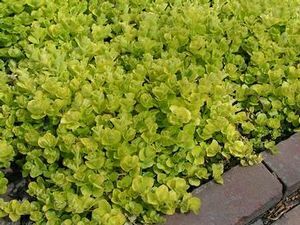 Some liken gold-leaved ‘Aurea’ to a “shower of golden coins” covering the ground at 3-4” where this best selection of Creeping Jenny brightens the rock garden or pathway between stepping stones. 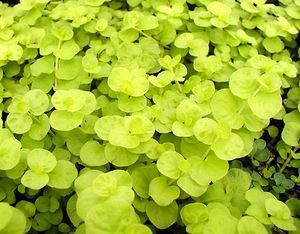 No matter that the yellow flowers in May are lost in the bright foliage. 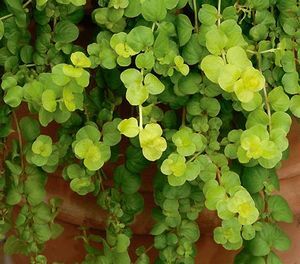 Try it as an underpinning to Geranium ‘Rozanne’ or the rich dark blue of Veronica ‘Royal Candles’ spikes.